This 1948 MGM musical isn’t one of my favorites (although I love some of the numbers), but its soundtrack is pure gold. The score, by Irving Berlin, mixes old Berlin tunes with new ones specially written for the movie. In fact, the movie was built around the previously released title song. 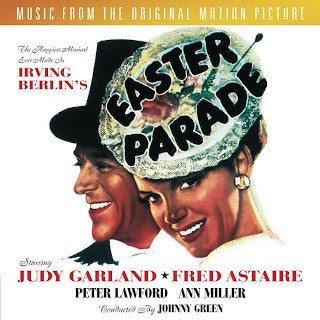 To perform the songs, MGM teamed for the first and, I believe, only time Judy Garland and Fred Astaire, with Ann Miller and Peter Lawford in supporting roles. The result is a true treasure for everyone who loves Irving Berlin and the magic musicals of Hollywood golden age. One of the highlights of the CD is a number that was wrongly cut from the movie. The song is “Mr. Monotony”, written for the movie, and with it Garland gave us one of her best numbers ever. Fred Astaire is at his best with the terrific “Steppin’ Out With My Baby”. Another great moment is Ann Miller’s exciting rendition of “Shakin’ the Blues Away” (written in 1927). 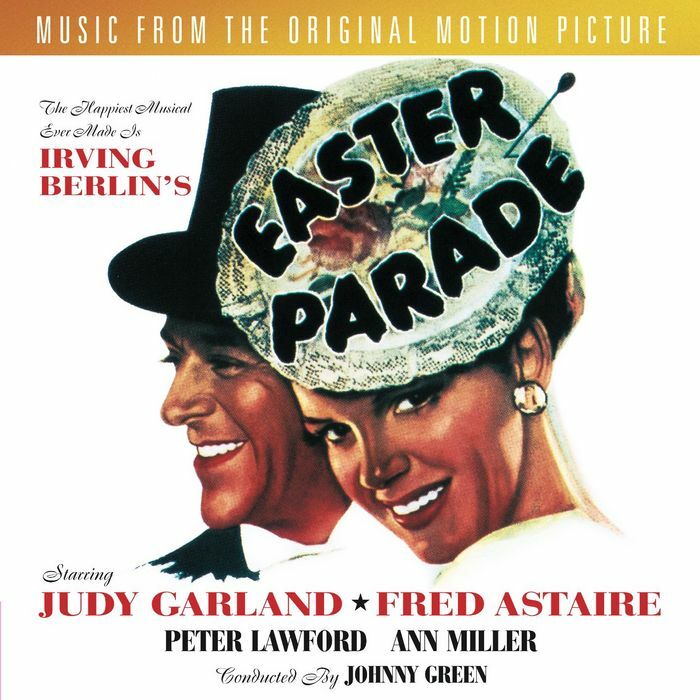 But there’s more, Garland and Astaire have the best of times with “A Couple of Swells” and both sing separately “It Only Happens When I Dance With You”, one of Berlin’s most beautiful songs. Well, Easter is here and so it’s a great time to discover or rediscover this unforgettable soundtrack. Happy Easter!